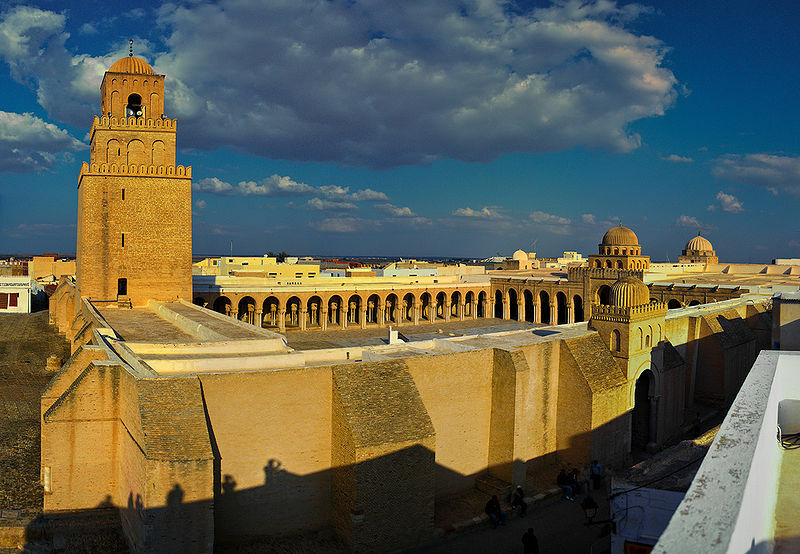 For much of its history, North Africa has fallen under the control of various empires and foreign power. However, as many of these conquerors eventually found out, North Africa was a region that was both unwieldy in its dimensions and unwieldy to control. The region’ disconnected, fragmented regional perspectives and administrative structures resulted from and produced a fissiparous process of cumulative and reinforced fragmentation, whether looking at matters from the littoral or from the interior. In this post, I want to look at North Africa in Late Antiquity (ca. 200–600) and how the region’s geography, politics, and society made it nearly impossible for central authorities (usually Romans or Byzantines) to fully control the region. 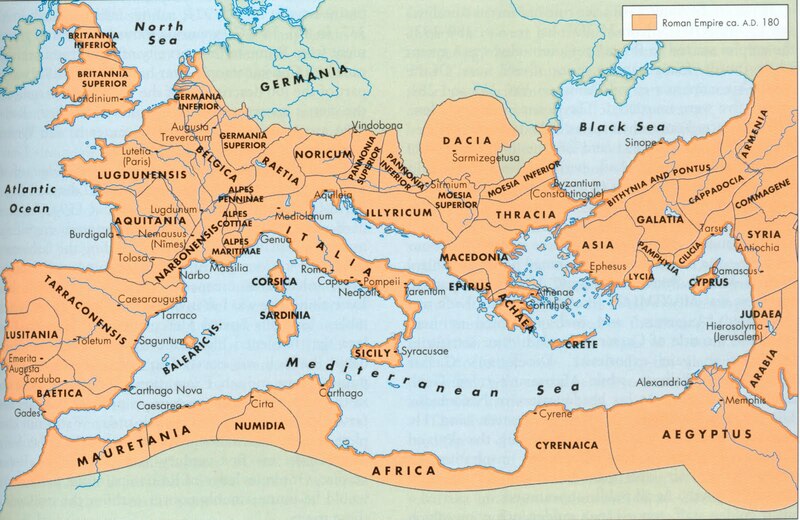 North Africa, a region roughly defined as all territory west of Egypt and east of the Atlantic, was perhaps one of the most important regions of the Roman Empire in Late Antiquity. However, in discussing late Roman North Africa, one is generally concerned with the territory of modern-day Tunisia (Roman “Africa”), and modern-day Algeria, where most of the major population centers (and most productive lands) were located. So what do I mean by “unwieldy”? In the context of this piece, I use the term to refer to the rather unstable foundation upon which Roman imperial rule rested in North Africa, as well as to the region’s volatile forces (geographic, religious, political) which played a role in undermining Roman control in the area. North Africa proved difficult for the Romans to subject to direct, central control for a number of reasons. Firstly, the geographic reality of North Africa certainly complicated Rome’s ability to establish its firm control over the region. This is by no means a minor factor and shall be described in more depth. 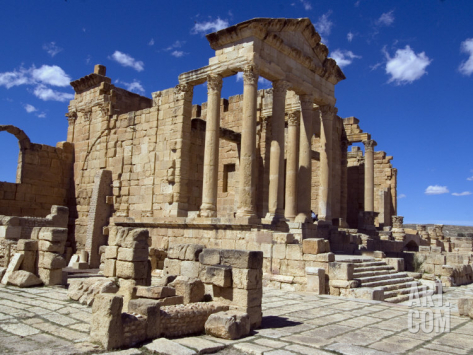 Secondly, the rise of Christianity in North Africa in the third and fourth centuries was a turbulent development which proved a challenge to Roman imperial control. Finally, political challenges (both external and internal) threatened—and in the case of the Vandals, did—to overturn Roman imperial rule in significant parts of the province. It is through a discussion of a combination of these three primary dimensions of North Africa’s “unwieldiness” that the challenges which faced the Roman Empire between the third and sixth centuries can be better understood. In order to understand the political and social forces which played a role in undermining Roman rule in North Africa, it is crucial to grasp the topographical circumstances of the region. In many ways, the political developments in the area, especially the fragmentation in the fourth and fifth centuries, are reflective of the geographical realities of the province. 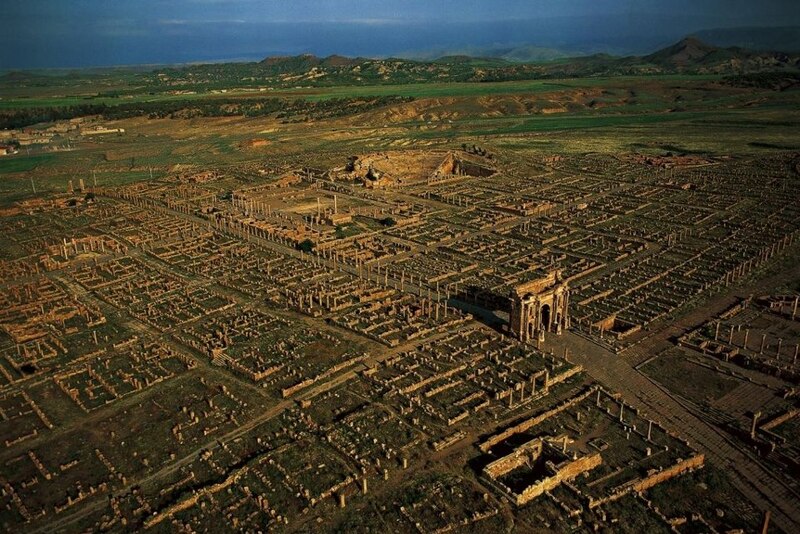 Geographically, North Africa posed one of most serious challenges to Roman imperial control. The lack of navigable rivers and the volatile climate were two major factors which undermined the ability of the Romans to extend their rule significantly inland. With regard to the coastal region, there were also complications in that North Africa (especially the regions west of Carthage) lacked natural harbors since most of the coast was elevated above sea level. It was only the coastal region around Carthage (near modern-day Tunis) which was easily navigable. The existence of several different “micro-climates”, a term used to refer to the geographic variety encountered in North Africa as well as to the various climatic conditions in those regions, was an additional factor which posed a major logistical challenge to Roman rule. It was not only the lack of uniformity in the province or the unpredictability of the weather nor even the lack of rivers which posed the greatest problem, but in many ways it was the difficulty in travelling (and, more significantly) transporting troops across the province which was the most serious issue. For example, one of the only routes between the Roman province of Mauretania Tingitana and Mauretania Caesariensis was the so-called “Taza Gap”. 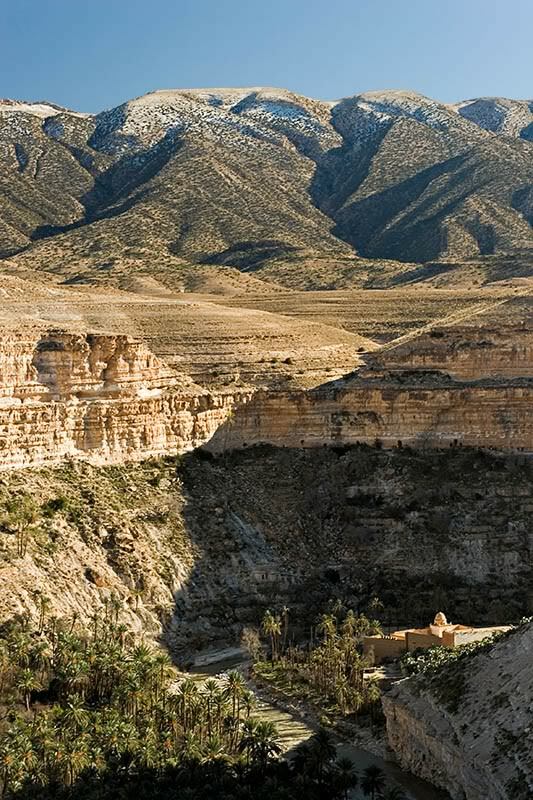 An additional problem was the mountainous terrain immediately south of the coast (in regions corresponding to modern-day Morocco and Algeria). The Aures mountain range which extends throughout the province also cut through much of Roman-controlled territory and made it difficult for the empire to extend its ruler further inland (hence, much of Roman territory in Algeria was restricted to the coastline). With regard to the Aures, it is significant that it was the center of a large number of tribal groups (who challenged Roman rule, as will be discussed below). The Aures mountain range (considered one of the many “micro-climates”) is a key example from Late Antique North Africa of how geographical conditions could give rise to a particular political circumstance; in this case becoming the strongpoint of several tribal groups in the region. The Romans were not oblivious to these problems of establishing and (more importantly) maintaining their control of North Africa. Thus, one of their strategies was to limit the amount of troops they deployed in the area (only one legion was stationed in the province) and relied instead on local auxiliaries, often composed of the very tribes whom they sought to keep away from the frontier. The issue of the encroachment of the autochthonous tribes upon Roman-controlled territory was itself a consequence of the geography of North Africa. These tribesmen and their flocks could not survive in the unsustainable climate of the Sahara desert and, as such, were continuously moving northwards in search of more moderate conditions, a source of water, and pasture for their flocks (mainly sheep). The better geographic/climate conditions on the coast led to the concentration of urban centers in that area, with the interior being only very sparsely populated. This further weakened Roman attempts to control the area. The combination of these conditions and realities (among others) was a key reason why the Romans were unable to construct continuous roads across the province, further undermining their ability to maintain control. It was also due to absence of such factors that the best-controlled and, therefore, most prosperous part of Roman North Africa was the province known as “Africa Proconsularis”, which corresponds roughly to modern-day Tunisia. This brief overview of North Africa’s geography merely seeks to underscore how geographical conditions give rise to the political and economic fragmentation which would affect Roman control of North Africa. As has been noted elsewhere, the geographic variety and the administrative separation (itself a product of these naturally-existing conditions) “discouraged the development of any coherent military strategy” by the Romans in North Africa. Fragmentation was therefore a cause as well as a consequence of the weakening of Roman control of the region. A second major factor which contributed to the unwieldiness of North Africa was the rise of Christianity, which began to be spread in the second century but which became a potent force throughout the third and fourth. Early Christians, with their staunch opposition to Roman paganism, posed a key challenge to Roman imperial authority and legitimacy in the region. 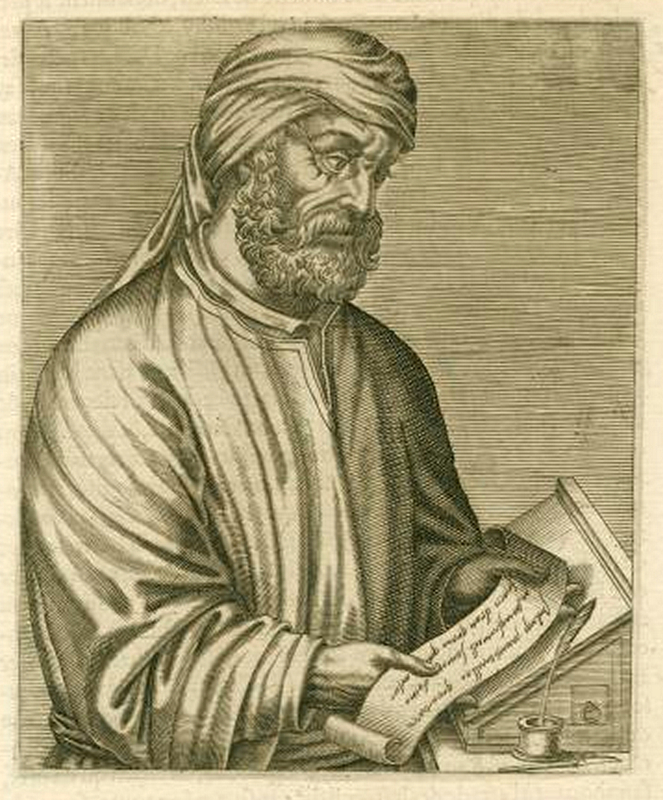 As Tertullian’s “Apology” demonstrates, at least some Christians were not content with simply following their own faith but, rather, by preaching it openly and seeking to undermine the dominant pagan cults followed by the Roman state. The increasing number of Christians, especially in the area around Carthage (the administrative and political heart of Roman North Africa), and their growing power was a major cause for concern among the authorities. The direct challenge posed by Christianity to the Roman imperial authorities is nowhere made more important than in the letter of Cyprian (d. 258), the Bishop of Carthage, to Demetrianus, the Proconsul of Africa. In the epistle, the latter is condemned by Cyprian in the strongest terms, a clear indication of the threat to political authority and legitimacy posed by the rise of a particularly firebrand version of Christianity, as preached by Cyprian and many others. The martyrdom of Cyprian at the hands of the Romans further testifies to the fact that he was viewed as a major threat by the imperial authorities. The Roman response to the “Christian issue” by resorting to violent persecution was a strategy that created its own problems. Rather than diminishing the appeal of the faith among Christians, it contributed to the rise of an increasingly popular culture of martyrdom which hardened Christian resistance to Rome. This is made evident through several martyrologies glorifying the struggles of individuals such as Cyprian to the Roman authorities in North Africa. Even in the face of being forced to abandon their faith, many (albeit not all) Christians refused to do so, further undermining Roman control and legitimacy in North Africa. Indeed, those Christians who had succumbed to imperial pressure were referred to (derogatorily) as “libellatice”; in turn, this controversy would give rise to the Novations, although the problem shall not be addressed here. Finally, another major factor contributing to North Africa’s unwieldiness is also one that requires the least explanation given its obvious impact: political and military threats from within North Africa and beyond. Although Roman North Africa was relatively secure in the third and fourth centuries, the fifth century witnessed a military and political catastrophe as far as Roman North Africa was concerned. Not only did the Vandals invade and ravage much of Roman-held North Africa, but from approximately 439 to 533, these Germanic invaders ruled a substantial amount of territory, centered on Carthage, as an independent kingdom. This was concurrent with developments in Western Europe whereby a large amount of territory of the Empire was being brought under the authority of Germanic peoples and ruled independently of Rome. Although Rome still exercised a degree of control over Tripolitania and Numidia, the Vandal kingdom’s hegemony over Africa Proconsularis deprived Rome of the important annona tribute/tax and fundamentally weakened Roman institutional control over the region, since it was fragmented even further by the existence of an alien Germanic entity in the very midst of North Africa. Despite the continuities between the Roman and Vandal administration, the latter’s rule over Africa Proconsularis has a detrimental effect upon Catholic Christianity, given the Vandals’ own preference for Arianism. Hence, upon the reconquest of Africa Proconsularis by the Emperor Justinian, several fundamental links with Rome had been weakened. This was exacerbated by the reconquest itself, which involved the Greek-speaking Eastern Empire. In many ways, the Vandal “interlude” represents a break between the earlier period of Roman authority and the inauguration of Byzantine rule in the region. Despite the various continuities in the period (from Roman to Vandal to Byzantine control), Roman/Byzantine control over the area was fundamentally weakened as a result of the Vandal conquest. 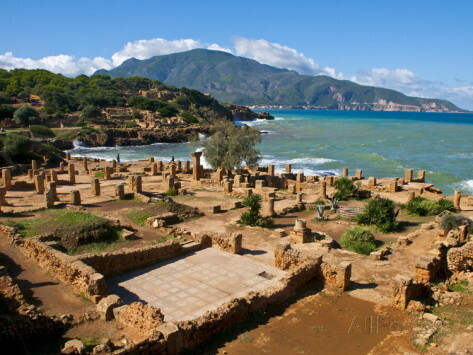 Concurrent with the Vandal conquest of Africa Proconsularis was the rise in Mauretania (corresponding with modern-day western Algeria and Morocco) of several independent “Moorish” kingdoms. This was a development which was in some ways a culmination of the increasing encroachment of the “Berber” autochthonous tribes upon Roman-held territory. The Vandal invasion created a rupture which fundamentally weakened Roman control over North Africa, thereby providing these tribes with an opportunity to rule openly as kings, although in some cases ruling while still recognizing the overlordship of Rome. These “Moorish” kingdoms aside, one of the most significant challenges throughout Roman rule in North Africa was the existence of the autochthonous tribes and their continual raids across the frontier. This was not a problem limited to the fifth and sixth centuries, but one that plagued the Roman authorities almost as long as they ruled in the region. It was these three factors—geography, religion and politics—that also played an important role in impeding centralized Arab Muslim control over North Africa during the early Middle Ages. The importance of certain forms of Christianity as an oppositional socio-political force was replaced by Kharijism (especially Ibadism), while the indigenous Berber tribes continued to play an important role in weakening centralized authority, a process that would culminate in the complete political decentralization and fragmentation of the region well into the early modern period. Walter E. Kaegi, Muslim Expansion and Byzantine Collapse in North Africa (Cambridge: Cambridge University Press, 2010), pp. 48–64. Kaegi, Muslim Expansion and Byzantine Collapse in North Africa, p. 68. However, in the case of Tertullian’s “Apology”, the author sought to affirm his loyalty to the emperor and the imperial system rather than dissenting from it. 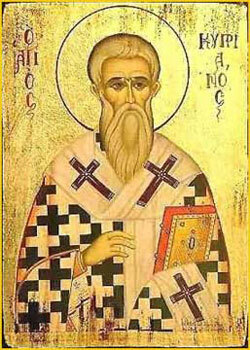 His primary concern was to address the religious grievances of Christians and to condemn the pagan cults. This entry was posted in History, Medieval/Early Modern Iberia & North Africa by ballandalus. Bookmark the permalink. [ ] Dieu le riche, le généreux, le secourable et moi qui suis par la grâce de celui dont la puissance est glorifiée et dont la parole est exaltée, par les miracles sacrés de Mohammed (que sur lui soient la bénédiction de Dieu et le salut), soleil du ciel de la prophétie, étoile de la constellation de l’apostolat, chef de la troupe des prophètes, guide de la cohorte des élus, par la coopération des âmes saintes de ses quatre amis Aboubakre, Omar, Othmane et Ali (que la satisfaction de Dieu très-haut soit sur eux tous), ainsi que tous les favoris de Dieu ; moi, dis-je le Sultan des Sultans, le Souverain des Souverains, le distributeur des couronnes aux monarques de la surface du globe, l’ombre de Dieu sur la terre, le Sultan et le Padichah de la mer Blanche, de la mer Noire, de la Romélie, de l’Anatolie, de la Caramanie, du pays de Rom, de Zulcadrié, du Diarbekr, du Kurdistan, de l’Azerbaïdjan, de la Perse, de Damas, d’Alep, du Caire, de la Mecque, de Médine, de Jérusalem, de toute l’Arabie, du Yémen et de plusieurs autres contrées que mes nobles aïeux et mes illustres ancêtres, que Dieu illumine leurs tombeaux, conquirent par la force de leurs armes, et que mon auguste majesté a également conquises avec mon glaive flamboyant et mon sabre victorieux, Sultan Soliman-Khan, fils de Sultan Salim-Khan, fils de Sultan Bayezid-Khan. – Vous avez envoyé une lettre à ma Porte, asile des souverains, par votre fidèle Emissaire, vous lui avez aussi recommandé quelques communications verbales ; vous avez fait savoir que l’ennemi s’est emparé de votre pays, et que vous êtes actuellement en prison et vous avez demandé ici secours pour votre délivrance. Tout ce que vous avez dit ayant été exposé au pied de mon trône, refuge du monde, ma science impériale l’a embrassé en détail, et j’en ai pris une connaissance complète. – Il n’est pas étonnant que des empereurs soient défaits et deviennent prisonniers ! Prenez donc courage, et ne vous laissez pas abattre. – Nos glorieux ancêtres et nos illustres aïeux n’ont jamais cessé de faire la guerre, repousser l’ennemi et conquérir des pays. Nous aussi, nous marchons sur leurs traces. Nous avons conquis en tout temps des provinces et des citadelles d’un difficile accès, et nuit et jour notre cheval est scellé. – Que Dieu très-haut facilite le bien et que sa volonté soit exécutée. Du reste, en interrogeant votre susdit Emissaire sur les affaires et les nouvelles, vous en serez informé.